The Illinois Country (French : Pays des Illinois, lit. "land of the Illinois (plural)", i.e. the Illinois people) — sometimes referred to as Upper Louisiana (French : la Haute-Louisiane; Spanish : Alta Luisiana) — was a vast region of New France in what is now the Midwestern United States. While these names generally referred to the entire Upper Mississippi River watershed, French colonial settlement was concentrated along the Mississippi and Illinois Rivers in what is now the U.S. states of Illinois and Missouri, with outposts in Indiana. 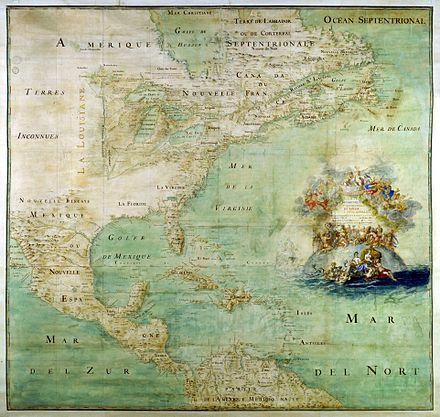 Explored in 1673 from Green Bay to the Arkansas River by the Canadien expedition of Louis Jolliet and Jacques Marquette, the area was claimed by France. It was settled primarily from the Pays d'en Haut in the context of the fur trade. Over time, the fur trade took some French to the far reaches of the Rocky Mountains, especially along the branches of the broad Missouri River valley. The French name, Pays des Illinois, means "Land of the Illinois [plural]" and is a reference to the Illinois Confederation, a group of related Algonquian native peoples. The Illinois Confederation, sometimes referred to as the Illiniwek or Illini, was a group of 12–13 Native American tribes in the upper Mississippi River valley of North America. The tribes were the Kaskaskia, Cahokia, Peoria, Tamaroa, Moingwena, Michigamea, Chepoussa, Chinkoa, Coiracoentanon, Espeminkia, Maroa, and Tapouara. At the time of European contact in the 17th century, they were believed to number over 10,000 people. Most of the Illinois spoke various dialects of the Miami-Illinois language, one of the Algonquian languages family, with the known exception of the Siouan-speaking Michigamea. They occupied a broad inverted triangle from modern-day Iowa to near the shores of Lake Michigan in modern Chicago south to modern Arkansas. By the mid-18th century, only five principal tribes remained: the Cahokia, Kaskaskia, Michigamea, Peoria, and Tamaroa. Louisiana or French Louisiana was an administrative district of New France. 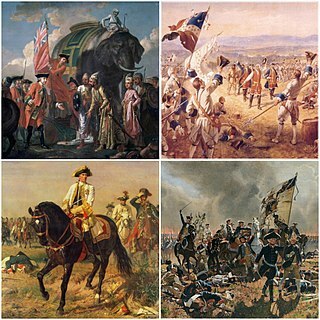 Under French control 1682 to 1762 and 1801 (nominally) to 1803, the area was named in honor of King Louis XIV, by French explorer René-Robert Cavelier, Sieur de la Salle. It originally covered an expansive territory that included most of the drainage basin of the Mississippi River and stretched from the Great Lakes to the Gulf of Mexico and from the Appalachian Mountains to the Rocky Mountains. The Illinois River is a principal tributary of the Mississippi River, approximately 273 miles (439 km) long, in the U.S. state of Illinois. The river drains a large section of central Illinois, with a drainage basin of 28,756.6 square miles (74,479 km2). The drainage basin extends into Wisconsin, Indiana, and a very small area of southwestern Michigan. This river was important among Native Americans and early French traders as the principal water route connecting the Great Lakes with the Mississippi. The French colonial settlements along the rivers formed the heart of the area known as the Illinois Country. After the construction of the Illinois and Michigan Canal and the Hennepin Canal in the 19th century, the role of the river as link between Lake Michigan and the Mississippi was extended into the era of modern industrial shipping. It now forms the basis for the Illinois Waterway. The American Bottom is the flood plain of the Mississippi River in the Metro-East region of Southern Illinois, extending from Alton, Illinois, south to the Kaskaskia River. It is also sometimes called "American Bottoms". The area is about 175 square miles (450 km2), mostly protected from flooding in the 21st century by a levee and drainage canal system. Immediately across the river from St. Louis, Missouri are industrial and urban areas, but many swamps and the major Horseshoe Lake are reminders of the Bottoms' riparian nature. This plain served as the center for the pre-Columbian Cahokia Mounds civilization, and later the French settlement of Illinois Country. Deforestation of the river banks in the 19th century to fuel steamboats had dramatic environmental effects in this region. The Mississippi River between St. Louis and the confluence with the Ohio River became wider and more shallow, as unstable banks collapsed into the water. This resulted in more severe flooding and lateral changes of the major channel, causing the destruction of several French colonial towns, such as Kaskaskia, which relocated; Cahokia, and St. Philippe, Illinois. Vincenzo Maria Coronelli was an Italian Franciscan friar, cosmographer, cartographer, publisher, and encyclopedist known in particular for his atlases and globes. He spent most of his life in Venice. 1 2 3 4 5 Ekberg, Carl (2000). French Roots in the Illinois Country: The Mississippi Frontier in Colonial Times. Urbana and Chicago, Ill.: University of Illinois Press. pp. 32–33. ISBN 9780252069246 . Retrieved 29 November 2014. 1 2 3 Carrière, J. -M. (1939). "Creole Dialect of Missouri". American Speech. Duke University Press. 14 (2): 109–119. doi:10.2307/451217. JSTOR 451217. ↑ Norris, F. Terry (1997). "Where Did the Villages Go? Steamboats, Deforestation, and Archaeological Loss in the Mississippi Valley". In Hurley, Andrew. Common Fields: An Environmental History of St. Louis. Missouri History Museum. pp. 73–89. ISBN 978-1-883982-15-7. ↑ Hamelle, W.H. (1915). A Standard History of White County, Indiana. Chicago and New York: Lewis Publishing Co. p. 12. Retrieved 29 November 2014. ↑ Shortt, Adam; Doughty, Arthur G., eds. (1907). Documents Relating to the Constitutional History of Canada, 1759-1791. Ottawa: Public Archives Canada. p. 72. Retrieved 29 November 2014. ↑ Edmunds, R. David (2005). 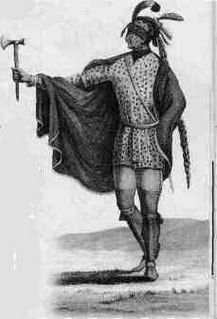 "Mesquakie (Fox)". Encyclopedia of Chicago. Retrieved 2018-05-01. ↑ Bahmueller, Charles F., ed. (2007). Illinois History. The 50 States (2nd ed.). Salem Press. p. 247. ISBN 9781587653674. 1 2 "The Illinois Archaeology - Starved Rock Site". Museum Link - Illinois State Museum . 2000. Retrieved June 15, 2011. 1 2 3 Skinner, Claiborne A. (2008). 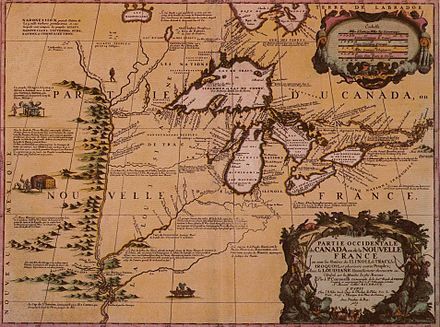 The Upper Country: French Enterprise in the Colonial Great Lakes. Baltimore: Johns Hopkins University Press. ISBN 978-0-8018-8837-3. ↑ Usgennet.org Archived February 23, 2001, at the Wayback Machine Attack On St. Louis: May 26, 1780. Sainte Genevieve County, often abbreviated Ste. Genevieve County, is a county located in the eastern portion of the U.S. state of Missouri. As of the 2010 census, the population was 18,145. The largest city and county seat is Ste. Genevieve. The county was officially organized on October 1, 1812, and is named after the Spanish district once located in the region, after Saint Genevieve, patroness of Paris, France. It includes the earliest settlement west of the Mississippi River outside New Spain, part of the French colonial mid-Mississippi valley villages. It is one of the last places where the Paw Paw French is still spoken. Prairie du Rocher is a village in Randolph County, Illinois, United States. Founded in the French colonial period in the American Midwest, the community is located near bluffs that flank the east side of the Mississippi River along the floodplain often called the "American Bottom". The population was 604 at the 2010 census. Ste. Genevieve is a city in Ste. Genevieve Township and is the county seat of Ste. Genevieve County, Missouri, United States. The population was 4,410 at the 2010 census. Founded in 1735 by French Canadian colonists and settlers from east of the river, it was the first organized European settlement west of the Mississippi River in present-day Missouri. Fort de Chartres was a French fortification first built in 1720 on the east bank of the Mississippi River in present-day Illinois. It was used as an administrative center for the province. Due generally to river floods, the fort was rebuilt twice, the last time in limestone in the 1750s in the era of French colonial control over Louisiana and the Illinois Country. Pierre Dugué de Boisbriand was a Canadian who commanded several areas in North America colonized by France in the early 18th Century, rising to become the fourth governor of the French colony of Louisiana. Father Pierre Gibault was a Jesuit missionary and priest in the Northwest Territory in the 18th century, and an American Patriot during the American Revolution. Ste. Genevieve Historic District is a historic district encompassing much of the built environment of Ste. Genevieve, Missouri. The city was in the late 18th century the capital of Spanish Louisiana, and, at its original location a few miles south, capital of French Louisiana as well. A large area of the city, including fields along the Mississippi River, is a National Historic Landmark District designated in 1960, for its historically French architecture and land-use patterns, while a smaller area, encompasses the parts of the city historically important between about 1790 and 1950, was named separately to the National Register of Historic Places in 2002. Missouri French or Illinois Country French also known as français vincennois, Cahok and nicknamed "Paw-Paw French" often by individuals mainly outside the community but not exclusively, is a variety of the French language formerly spoken in the upper Mississippi River Valley in the Midwestern United States, particularly in eastern Missouri. The language is one of the major varieties of French that developed in the United States and at one point was widely spoken in areas of Bonne Terre, Valles Mines, Desloge, De Soto, Ste. Genevieve, Old Mines, Saint Louis, Richwoods, Prairie du Rocher, Cahokia, Kaskaskia, and Vincennes as well as several other locations. 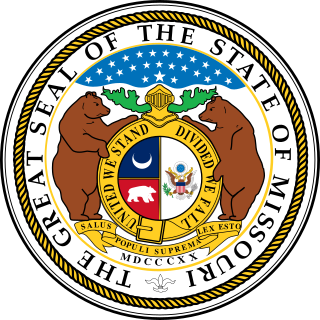 Speakers of Missouri French may call themselves "créoles" as they are descendants of the early French settlers of Illinois Country. The history of St. Louis, Missouri from prehistory to 1762 was marked by the presence of the Moundbuilder indigenous culture, the explorations of Europeans, and the establishment of French trading posts along the Mississippi River. The Bois Brule Bottom is an alluvial floodplain in Bois Brule Township in Perry County, Missouri stretching between Bois Brule Creek to the west and the Mississippi River to the east. Le Grand Champ is is an alluvial floodplain, also called a bottom, extending along the Mississippi River in Ste. Genevieve County, Missouri. The Kaskaskia–Cahokia Trail was the first road in Illinois, running from Kaskaskia to Cahokia.